Your college dorm room is going to lack certain things, which you know. You also know that your college dorm room is going to be quite small. However, your college dorm room is also going to lack designated areas for keeping certain dorm essentials. See below for a list of dorm essentials that are compact and will help you have designated dorm room storage areas for your college supplies. 1 - Over the Door Hooks - Do not forget about the dorm room storage space that is available right on your dorm room door. This space is quite valuable, and there are different ways you can take advantage of it. You can add a few dorm storage hooks to hold your coat and backpack so you can grab them as you leave your college dorm room, or you can use that space on your dorm room door for dorm storage of things like shoes, sweatshirts, and yes - even cosmetics and bottles. This organizer has a mirror to help you get ready in the morning and has various pocket sizes to hold things like toothpaste, hair spray, and cosmetics. 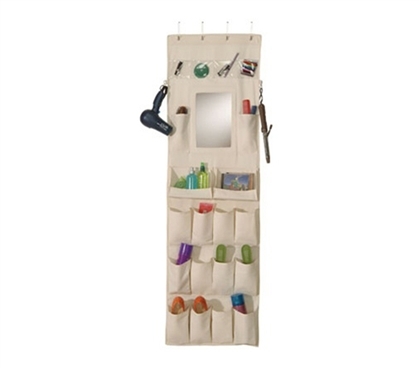 There are even hooks on each side of this dorm organizer for a hair dryer and curling iron. 2 - Dorm Room Desk Shelving - Your college dorm room desk may not be as elaborate as you've thought about in your head. In fact, you may only have a table for a dorm room desk. That creates quite a problem for your dorm essentials. Where are you going to store your college textbooks and other college supplies? Just stacking them on your dorm room desk won't do. You need that space for your dorm laptop and working on homework. The key with dorm storage solutions is to think up, not out. 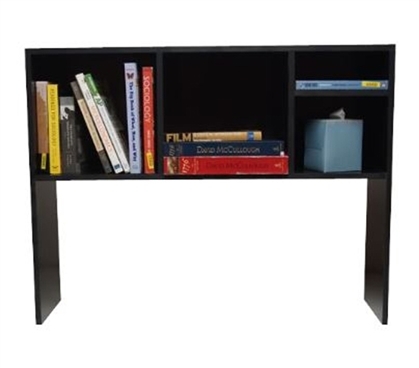 Invest in vertical dorm room storage solutions like our Dorm Desk Bookshelf that sits on top of your dorm room desk and allows you to store your college textbooks and other dorm necessities in an area you wouldn't otherwise use. 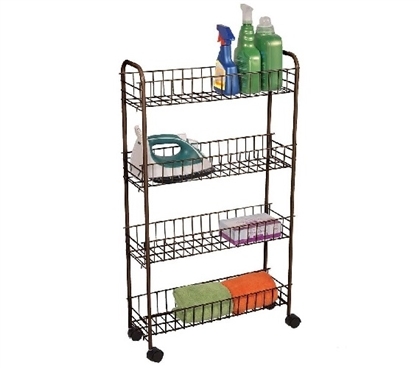 3 - Slim Rolling Storage Cart - It's inevitable you're going to have some dorm cooking utensils in your college dorm room. You probably won't eat in the college cafe every day for three meals a day. Even if it's just a few microwavable bowls and some plates and other utensils, there isn't really going to be a place to keep those items. You don't want to stack them directly on top of your microwave because they can easily fall to the floor and detract from your dorm room decor. Keeping dorm totes or our Slim Rolling Dorm Storage Cart handy for dorm storage of those cooking items is ideal. You can keep everything organized and in a dorm storage solution that doesn't take up a lot of space. 4 - Pantry Storage - Just like there isn't designated cooking utensil storage, there isn't designated dorm room storage areas for your cans of soup and boxes of cereal. You need the space in your college closet for your clothes and it's too easy for a box of cereal to tip over and spill all over your clothes. 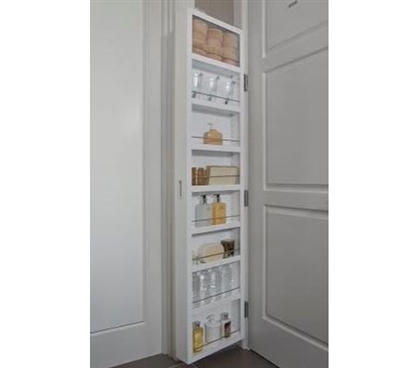 To avoid picking marshmallows and other cereal pieces out of your sweaters, compact pantry dorm storage solutions like our Cabidor work great. You won't lose dorm room storage space on your floor, and the pantry door sits right against your college dorm room door. Keep your food items and extra college supplies organized right in this handy dorm essentials item!